Writer, comedian, actress and activist Magda Szubanski is among the hundreds to be honoured this Australia Day. 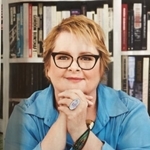 Szubanski started in the comedy series The D Generation for ABC in 1986. The program moved across to the Seven Network and she later starred in Fast Forward from 1989 to 1992. She was a co-writer and performer in Big Girl’s Blouse in 1994 and Something Stupid in 1998. She starred in the Dogwoman series of telemovies and created and played the part of Sharon Strzelecki across Big Girl’s Blouse, Something Stupid and Kath And Kim. Other TV credits include Bligh, Full Frontal, The Genie From Down Under, It’s A Date, Open Slather, Sisters, Rake and most recently as marriage celebrant Jemima Davies-Smythe in Neighbours. Olivia Newton-John (AC) — “For eminent service to community health, particularly for people living with cancer, through support for medical research, and as a songwriter and performer.” Newton-John’s performing career started in television in the 1960s, starring in variety shows including The Happy Show, Time For Terry, Go! and Bandstand before she went overseas to international stardom. She was appointed an Officer of the Order of Australia, 2006, and awarded an Australian Living National Treasure by National Trust of Australia in 2012. Kylie Minogue (AO) — “For distinguished service to the performing arts as a national and international recording artist and entertainer.” Minogue started as a child actor in series including The Sullivans and Skyways, then Fame And Misfortune and The Henderson Kids. 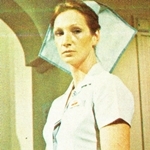 Her performance as Charlene in Neighbours led to an international recording career that continues more than 30 years later. More recently she has appeared as a judge on The Voice Australia. She won a TV Week Logie for Most Popular Actress in 1987, followed by four Logies including the Gold in 1988. She was inducted into the Australian Recording Industry Association (ARIA) Hall of Fame in 2011. Dennis Cometti (AM): “For significant service to the broadcast media as a sports presenter, and to the community.” Cometti was a sports commentator for ABC in the 1970s and has worked across both the Seven and Nine networks, covering AFL and Olympic Games, and volunteering for Telethon in Perth. He has also been a radio commentator for many years. The media centre at Optus Stadium in Perth is named in his honour. John Derum (AM) — “For significant service to the performing arts as an actor, director and administrator, and to the community. ” Derum appeared in the first episode of Homicide in 1964 and later starred in The Aunty Jack Show, The True Blue Show, Ratbags, The Oz Game and The True Believers. He has made guest appearances in Matlock Police, The Evil Touch, Division 4, Young Ramsay, Father Dear Father In Australia, GP, Water Rats, All Saints and Underbelly. Adele Ferguson (AM) — “For significant service to the print and broadcast media as a journalist and business commentator.” Journalist and author Ferguson has appeared on Four Corners and The 7.30 Report. 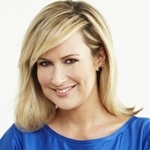 She won a TV Week Logie for Most Outstanding Public Affairs Report in 2015. Raymond Harding (AM) — “For significant service to the broadcast media, particularly as a script writer and producer for television. ” Harding has been a script writer, producer, and story editor for a range of television shows for more than 25 years, in Australia and overseas. 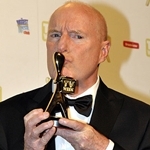 His credits include Neighbours, A Country Practice, Mirror Mirror and Home And Away. Anita Jacoby (AM) — “For significant service to the broadcast and print media, and to community mental health groups.” Jacoby has worked in television for over 30 years, with production credits including Simon Townsend’s Wonder World, Good Morning Australia, Today, Who Dares Wins, Witness, Enough Rope With Andrew Denton, Hungry Beast, Can Of Worms, AFP, Country Town Rescue and the various Gruen series. She was also manager of ITV Studios Australia from 2013 to 2015. Alan Kohler (AM) — “For significant service to the print and broadcast media as an editor, journalist and finance commentator.” A journalist since 1970, Kohler joined ABC in 1995. 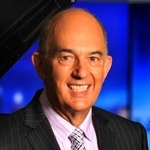 He was former business editor for The 7.30 Report and since 2002 has been the finance presenter and business correspondent for ABC News. He also hosted Inside Business for 12 years. Julie McCrossin (AM) — “For significant service to the community, particularly through LGBTIQ advocacy roles, and to the broadcast media.” McCrossin was a team captain for Good News Week on ABC and later Network Ten. She has also been co-presenter on television coverage of the Sydney Gay and Lesbian Mardi Gras. Mr Juan Ignacio TRAPAGA (Ignatius Jones) (AM) — “For significant service to entertainment as a writer, director, author and performer.” Jones has been an actor and presenter on various television programs since the 1980s, including appearances in Sweet And Sour, Home And Away, World Series Debating and Spicks And Specks. The late Cornelia Frances (OAM) — “For service to the performing arts as an entertainer.” Frances had been an actress and presenter on Australian television since the 1960s. Dramatic roles included Catwalk, Homicide, The Lost Islands, The Young Doctors, Tickled Pink, Prisoner, Sons And Daughters and Home And Away. She also hosted the game show The Weakest Link. Frances passed away in 2018. Garry Gibson (OAM) — “For service to the broadcast media, particularly to television. ” Gibson worked as an audio engineer for ATN7, Sydney, in the 1960s and at QTQ9, Brisbane, for 20 years. He is a founding member of the RATS Club (Retired Radio and Television Survivors). Bevan Lee (OAM) –“For service to the broadcast media, particularly to television. ” Lee has been a creator and writer for various Seven Network dramas including Sons And Daughters, Home And Away, All Saints, Always Greener, Packed To The Rafters, Marshall Law, Winners And Losers and A Place To Call Home. Other credits include Prisoner, A Country Practice, The New Adventures Of Skippy, The Flying Doctors and City Homicide. Keith Martyn (OAM) — “For service to the community.” Martyn has worked in print, radio and television media in Adelaide for 40 years. He worked at ADS7 (now Ten) for 16 years and at NWS9 for ten years. Eileen O’Shea (OAM) — “For service to the media and entertainment sectors.” O’Shea worked as a publicist for over 40 years, including 12 years at HSV7 working on programs including Homicide, Willesee At Seven, Cop Shop, Against The Wind and Skyways. In 1981 she moved across to ATV10 in Melbourne.